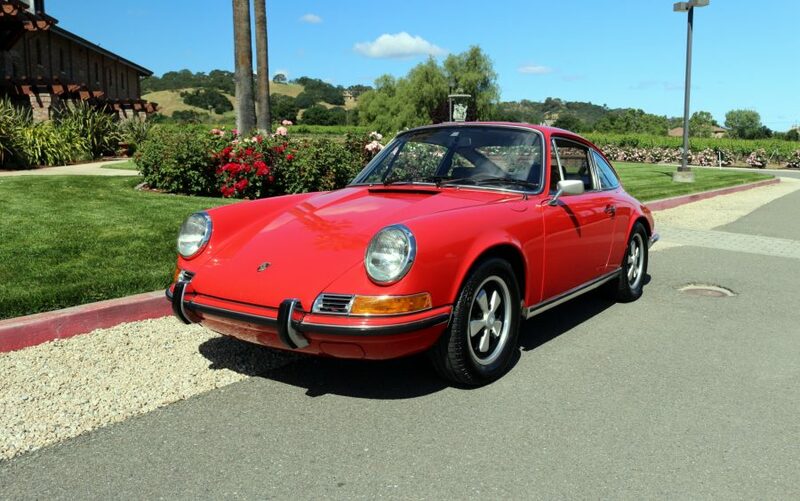 1971 Porsche 911T Factory Sunroof Coupe: 100% solid original metal; superb factory body gaps; numbers-matching engine and transmission; factory signal orange/ black leather color combination. Very rare rear windshield wiper option. This was sold new as a loaded model and it was never abused. One repaint since new. Among the best original-metal cars available anywhere. Factory undercoating is perfectly intact, still showing the signal orange original paint. Interior is largely original and in excellent condition. Low miles, runs and drives well. We go to extents to document our cars in pictures and provide the most transparent listings on Ebay. Please study the pictures carefully rather than requesting descriptions. Please complete any inspections or ask any questions prior to bidding or committing to buy the car. Thanks for the interest!